The Civil Service Commission (CSC) is set to conduct the yearly Career Service Examination, Pen and Paper (CSE-PPT) this coming March 12, 2017 and August 6, 2017. Application period for March examination is from Nov. 14 2016 to Jan. 13, 2017 and application period for August examination is from April 3, 2017 to June 2, 2017. Applications are accepted in a FIRST-COME, FIRST-SERVED BASIS. Testing venues are already open at six in the morning and examinees are advised to be early as gates will be closed at 7:30 am. 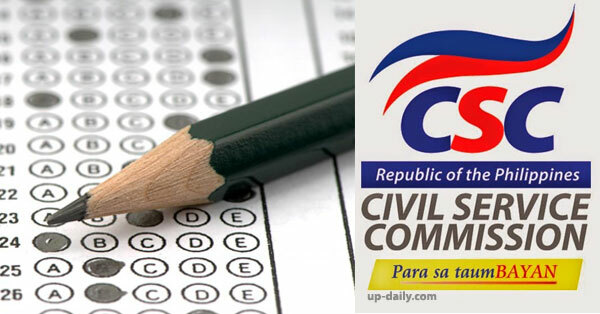 The list of passers will be posted on the official website of CSC within 41 days after the date of examination. 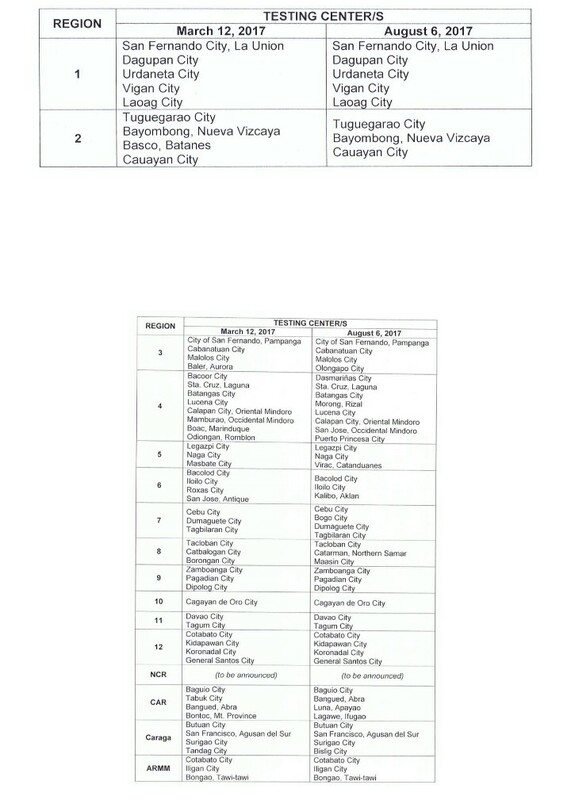 Passers should personally claim their certification which will be available approximately within 30 days after the release of the list of passers. 1. Know the exact coverage and even the format of the exam. 4. Read but don’t memorize. Stock knowledge works like magic. 6. Attend a review class. 7. Take an evaluation of your strengths, as well as your weaknesses. 8. Eat healthy and brain-boosting foods. 9. If studying bores you, form an interactive study group. Civil Service Examination is a test of knowledge and skills for professionals, the future of our country. The tips listed above should serve as guidelines to pass the Civil Service Exam.